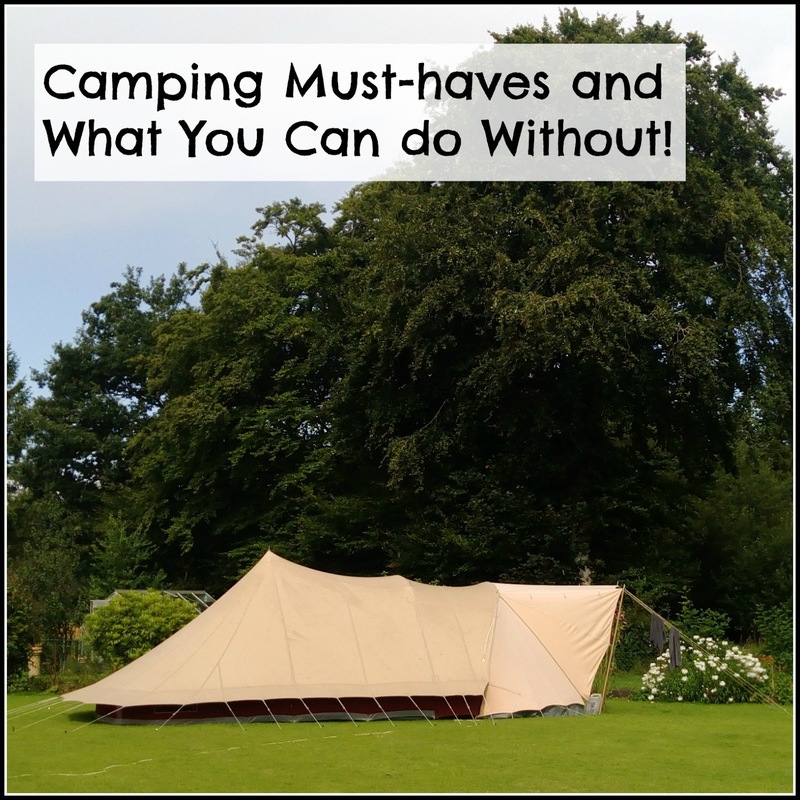 Camping Must-Haves and What You CAN Leave Home Without! Camping can be ideal as a low-cost family holiday option when money is a bit tight. However, on your first camping trip, it can be very easy to get bogged down with the different products available to buy, until you end up spending the cost of a week in the Algarve. As we've got better at camping, we have found some products that have been invaluable, and some that haven't. This is our guide to your camping essentials and how to keep the costs down by avoiding what you really don't need. This post contains items we've bought, and some we were sent to try and really liked. I have marked the review items, with an asterisk * for clarity. Firstly, it's important to stay warm and dry and everyone seems to have a product to help. 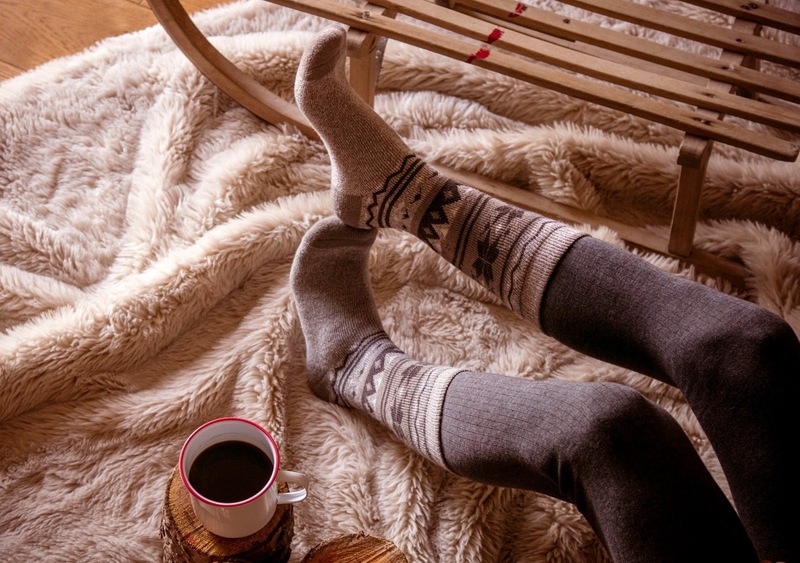 Even during the summer, it still gets very cold at night, so it's best not to skimp on the extra blankets. We've always just bought cheap fleece blankets, which double up as picnic blankets too. If you start off with a good quality sleeping bag, there's no need to buy special 'camping blankets', there are much cheaper alternatives and they will only get covered in grass and other camping debris anyway. My absolute essential for sleeping warmth though, are Heat Holder socks. Before I got mine (christmas gift) I was wearing at least two pairs of other bed sock-type products to stay warm at night. I don't know how they do it, but they are the warmest socks I've ever owned and definitely a camping essential if you suffer with the cold! Our last camping trip was in August and it was still really cold at night. Oh, also, another item we've bought but never used is hand warmers. If you camp in the summer, the only time you will need them is at night and gloves are far more useful. We found gardening gloves are especially good if you want to be able to turn the pages of a book or use a tablet, because they tend to have textured fingertips! Staying dry is always a challenge, as I wrote about in Top Tips for Camping When It Rains. However, there are a couple of essential items that will really help. You can buy rainproof clothing, which is brilliant if you know you will get some use out of it, but it's a big expense if you are only likely to wear it for camping. For short trips to the loo or the shop, emergency ponchos take up no space and are really cheap to buy. 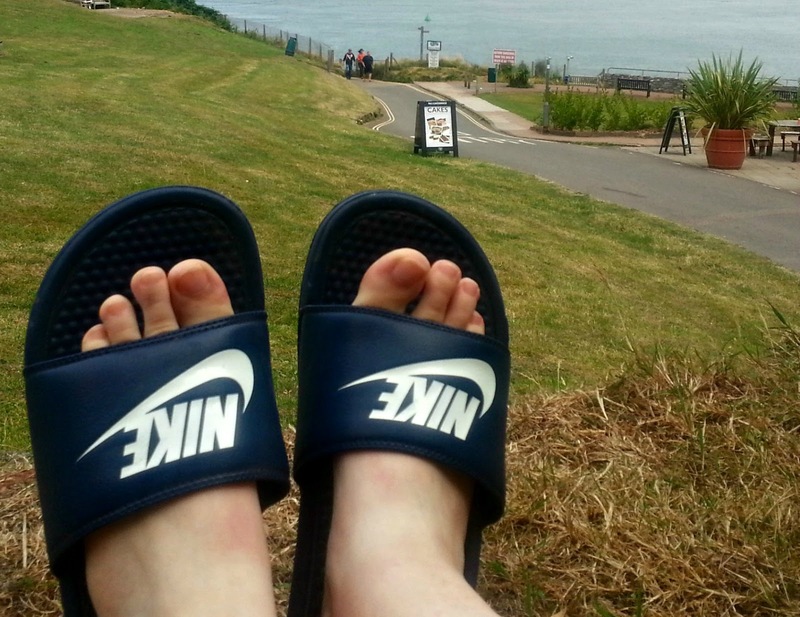 Also, don't leave home without a pair of waterproof, slip on shoes, such as these Nike sliders. If you need to run to the loo at night, or early morning, even if it hasn't been raining the dew on the grass will soak through slippers within minutes and they are a nightmare to dry. We learned this the hard way! One item we never leave home without (after spending a morning driving around looking for plasters for a blister!) is a good, compact first aid kit. There are lots of opportunities for minor injury when you are camping, all of which become a major problem if you don't have the necessary fix. This ultra-compact First Aid Kit Light from Mammut* has everything you need for minor injuries and, best of all, it's totally waterproof, so you can be sure it won't let you down, even if the weather does. Lighting is a very important consideration when camping. It will depend on where you are staying and how well-lit it is, but many people find head torches useful for visits to the shower room at night, so that you can have a hand free for your wash bag and towel, plus any children that might need rounding up. A really good tent-light is a must and it needs to be reliable. We have three, one in each bedroom and one in the middle, so that if one fails, we are not stumbling round with a torch looking for spare batteries. 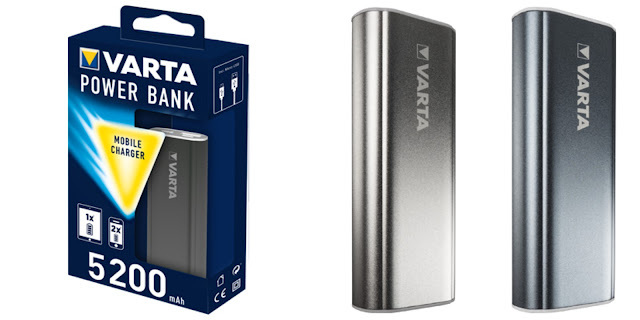 We tried this Outdoor Sports 3W LED Lantern, from Varta*, which ticks a lot of boxes as a camping light. It has two hooks, for hanging or carrying, and so can be used as a lantern for lighting the way, as modelled by my son, as well as a tent light. It has an obvious and accessible on/off switch, which sounds obvious, but you really notice when this isn't the case. No one wants to be faffing around in the dark, trying to find the light switch! The light emitted is pleasant and warm, as well as being dimmable, and it is shock proof and water resistant, which should cover most potential camping mishaps. You can't put a price on safety, and this definitely applies to camping. There are basic rules everyone should follow for camping, such as making sure the tent you purchase is fire retardant and not using naked flames inside your tent. However, one thing that sometimes gets overlooked is carbon monoxide. Most people are aware of the dangers in the home, but carbon monoxide most often comes from fuel-burning appliances, so even a smouldering barbecue can pose a risk if it's close to the tent. You might already own a battery-powered carbon monoxide alarm that could go with you on holiday, but, if not, consider investing in one, and keep your family safe on the move. Click the link to find out more about Project Shout's GO with CO campaign* by clicking the link. Now, as essentials go, this is a bit of a controversial one, because some die-hard campers think this is a bit of a luxury. Yes, it's true, you could find an upturned log to sit on and fashion a table out of some tree branches, but, if you have little ones, chairs and a table make life a lot easier. If you are buying new chairs, it's a good idea to try some out in a camping shop and consider their size when folded, as we found that some chairs take up more space in the boot than the tent! 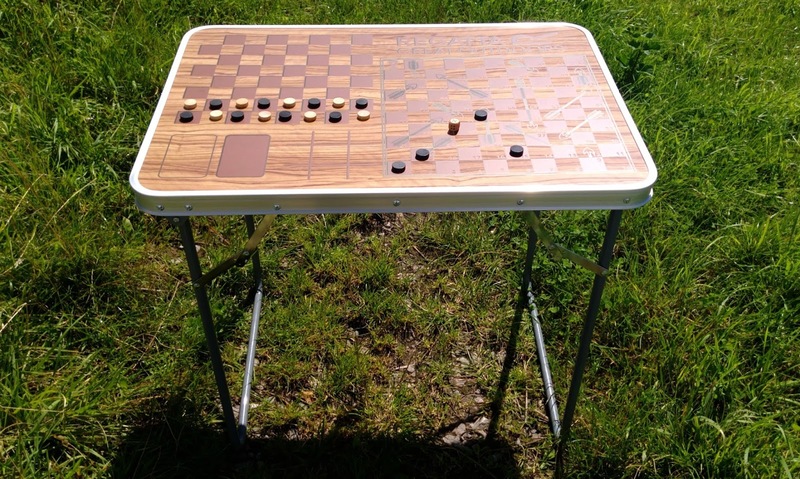 This table, from Regatta* is a great space-saving idea. It comes with a dice and you can always use coins or foraged pebbles as counters for rainy day games. Another camping debate that divides people is whether you should take any tech along on your trip. I have no opinion on this, all families are different and the important thing is that everyone has a great time. I do, however, feel a charged mobile phone is an asset, in case of emergency, or pizza delivery requirement. This Varta Powerbank 5200* is perfect for the job. You can get two full phone charges from it (or one tablet charge), which should give you enough opportunity to use a car charger, should you need to. It is light enough to carry in your handbag and the LEDs tell you how much charge it has left. I love the simplicity of it, it's very easy to use. There are lots of options for food preparation and eating. You can buy camping cutlery, that comes in a neat little bag, but they are expensive and achieve little more than a basic cutlery set from a supermarket or discount store. You could also buy a spork, which are really fun, but way too difficult to use to be practical for long term use, especially with chidren. Another essential that we find really useful, was a good-sized flask. You can save money, by taking hot drinks with you on day trips, but also, if you know you will be coming back to the tent late and you won't want to mess about starting up the gas burner, you can make up tea or hot chocolate ready for when you get back. We were really intrigued when we were offered this new Hydro Flask Beer Growler* to try. I have no idea why it's called a beer growler, but it promises to keep beer cold and fizzy for up to 24 hours. So, of course, we had to test it out, and took our beer out for a walk. I shouldn't sound so surprised, as I've tried Hydro Flask flasks before, but it actually worked!, This seemed like an impossible task, keeping anything fizzy once it's open is always a challenge, but the honeycomb technology did its job. Here it is at work, after three hours, and the beer was exactly the same as when it went in. As you can see, it's huge (64oz) and has a brilliant pouring handle, so there is no risk of spilling anything important. It can also be used to carry hot drinks, which will stay hot for up to six hours, thanks to the Tempshield technology. It is built to last, with a lifetime warranty and certainly feels very sturdy to use. 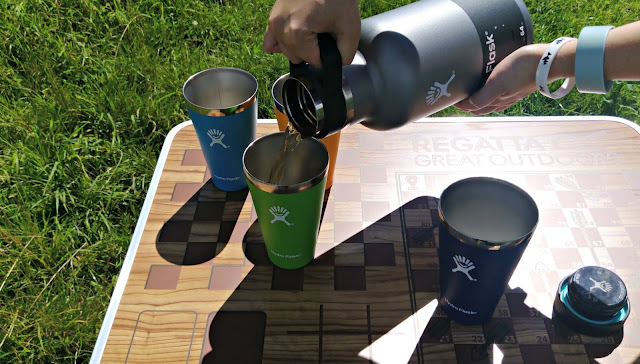 The cute matching Hydro Flask True Pints (16oz) also contain the same technology and are double insulated, so you won't burn your fingers, even if you purchase an extra-large coffee from Costa. I hope you find our selection of dos and don'ts helpful for your camping adventures, please feel free to add any suggestions of your must-haves or total no-nos in the comments. If your looking for a great low-cost camping desination, we loved Forest Glade Holiday Park, in East Devon. You can read our Forest Glade Camping Review to find out more. 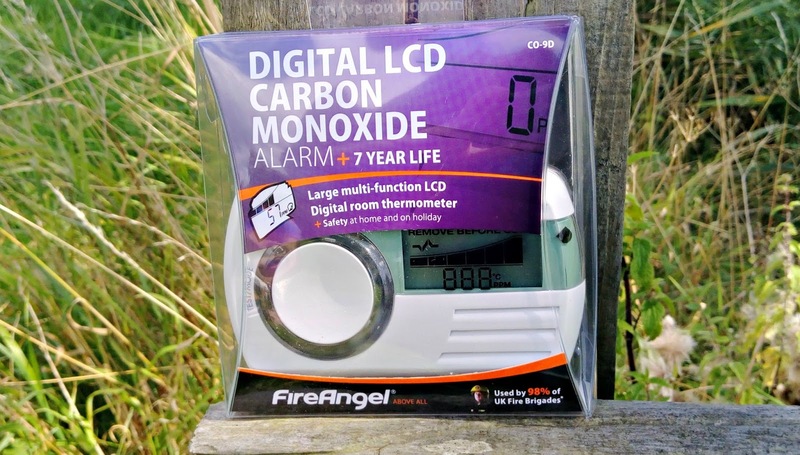 Highlighting the need for a carbon monoxide monitor is really important - so often it is overlooked! We are going camping next week for the first time and I can't wait! Unlike you we don't have all the gear, I'm starting to think we are unprepared! 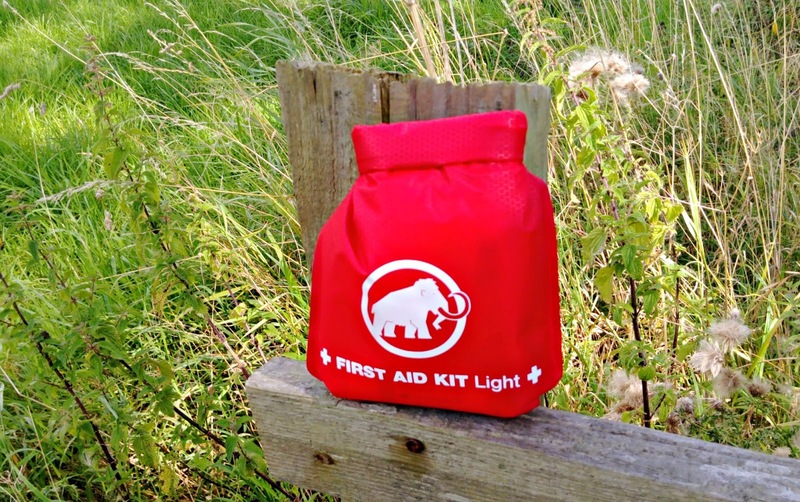 A First aid box and wipes for me are camping essentials. A portable charger is also very important to get the gadgets charged. Great tips, we are novice campers so will be sticking to your advice! thanks.